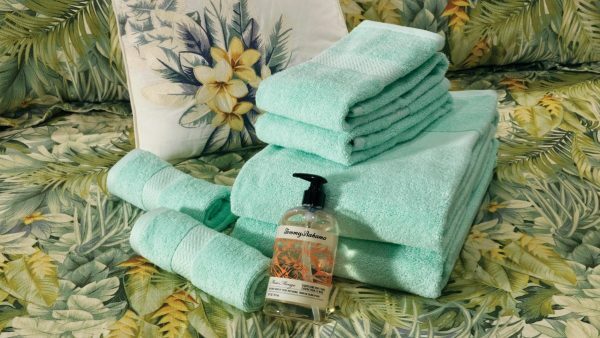 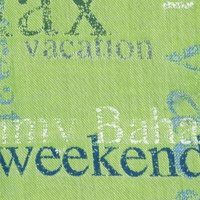 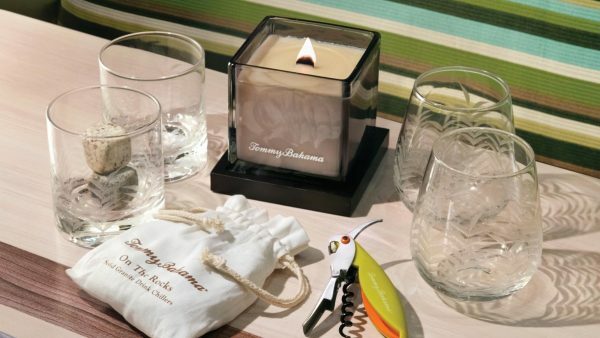 An exclusive Tommy Bahama Accessory Kit comes with every Relax Edition touring coach. 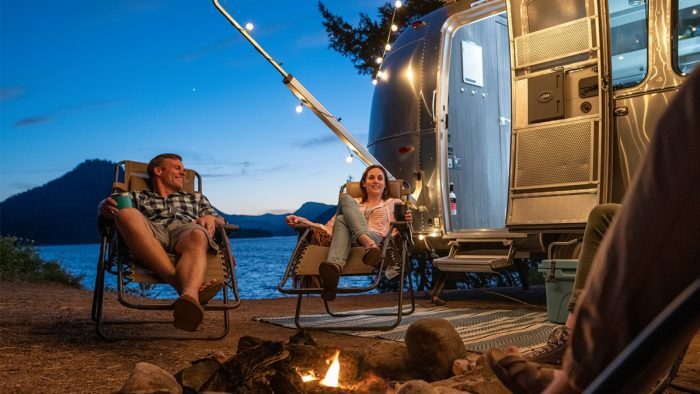 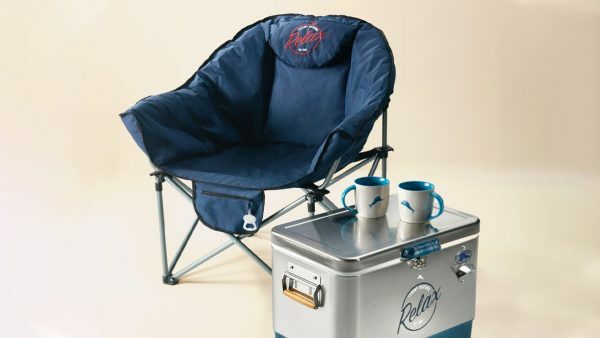 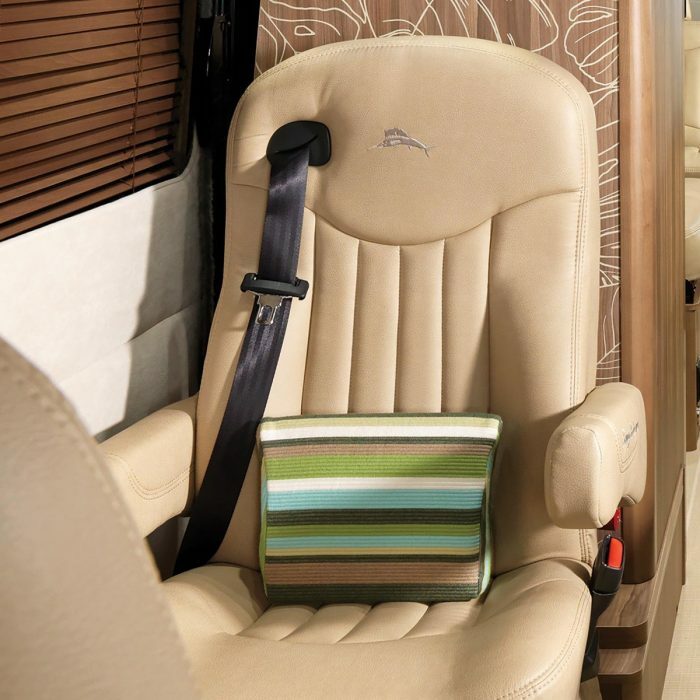 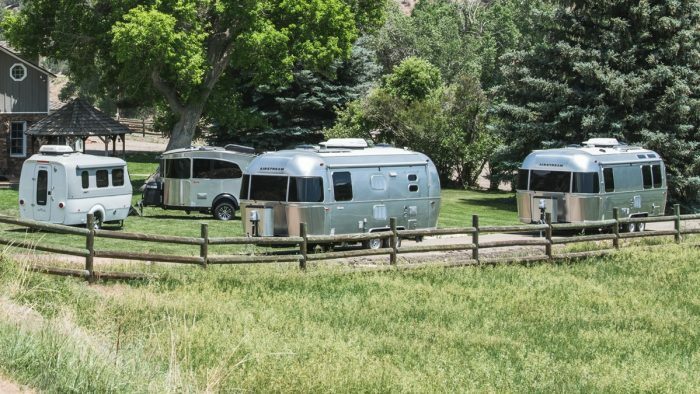 You get two oversized outdoor lounge chairs, a cooler, candles, glassware, barware, bedding, towels, and more, and each item has a thoughtful place inside the RV. 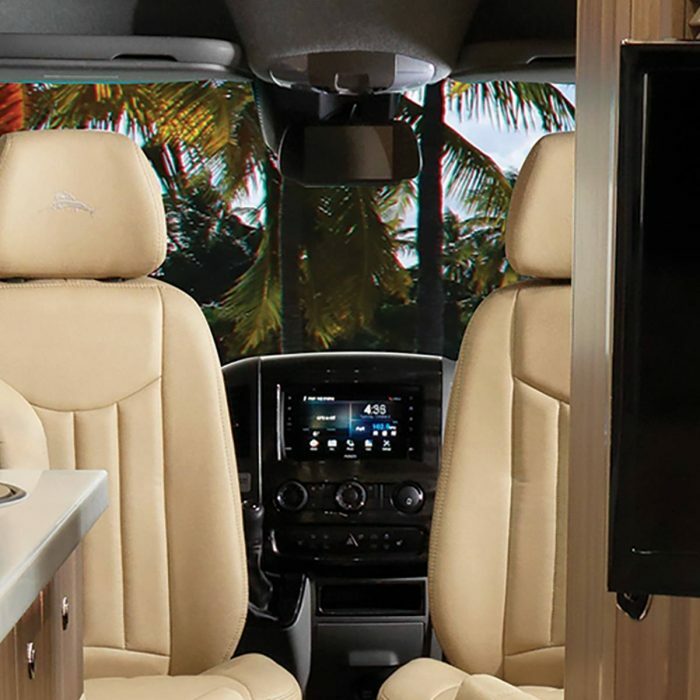 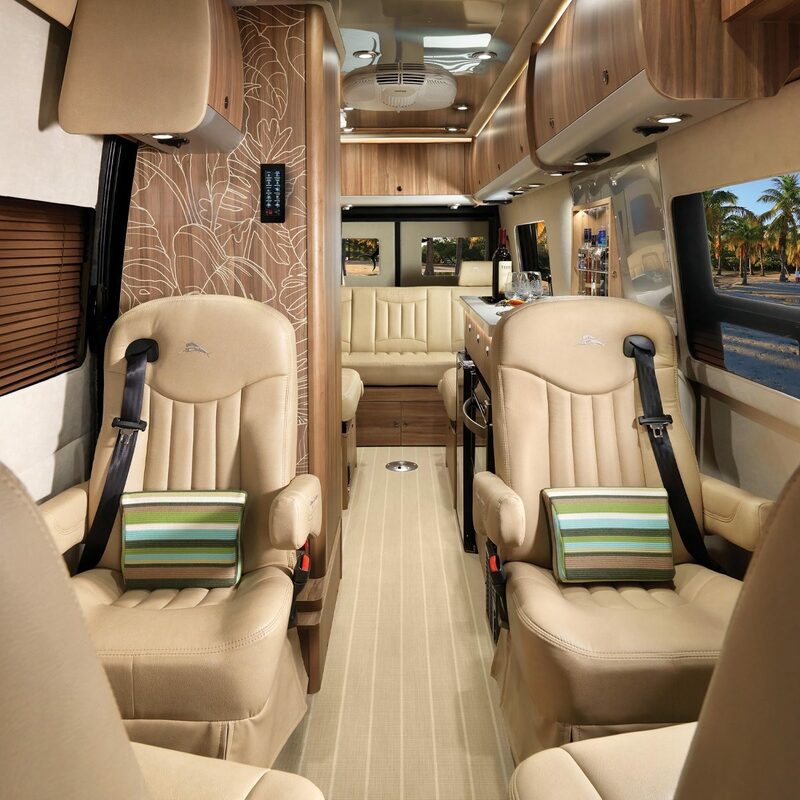 The party follows you wherever you go in the Interstate Tommy Bahama Touring Coach. 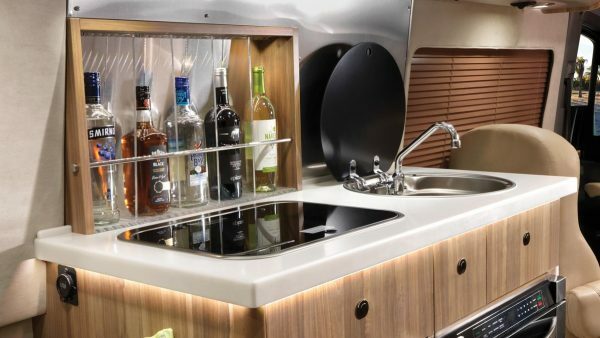 The galley kitchen features a built-in rack to display your wine and spirits and easily access them whenever you’re ready to serve up drinks. 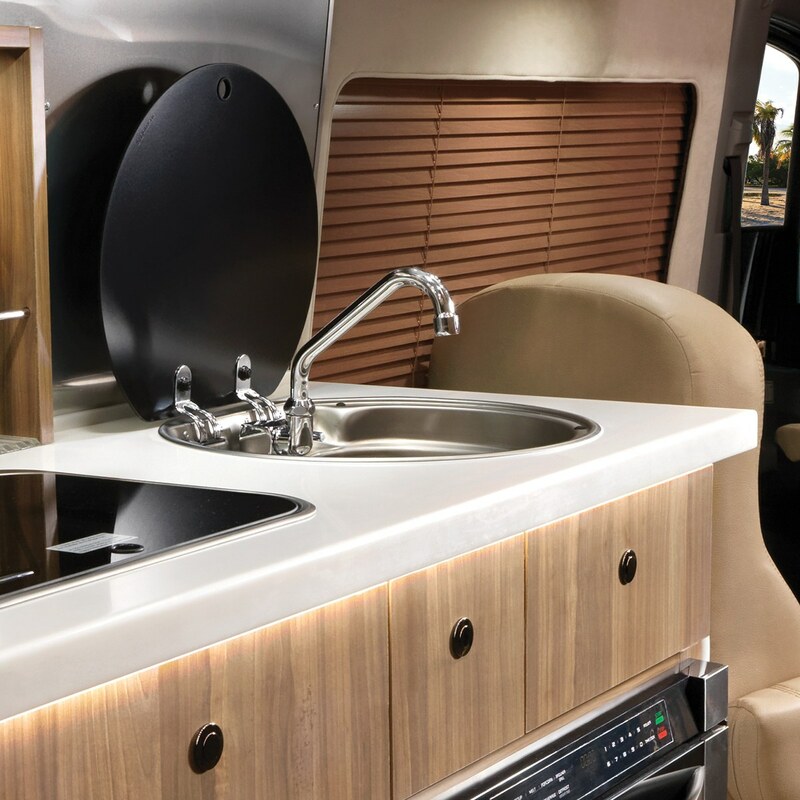 Plus, you have plenty of counter space to set out your favorite mixers, and all the appliances you need to whip up some snacks for everyone. 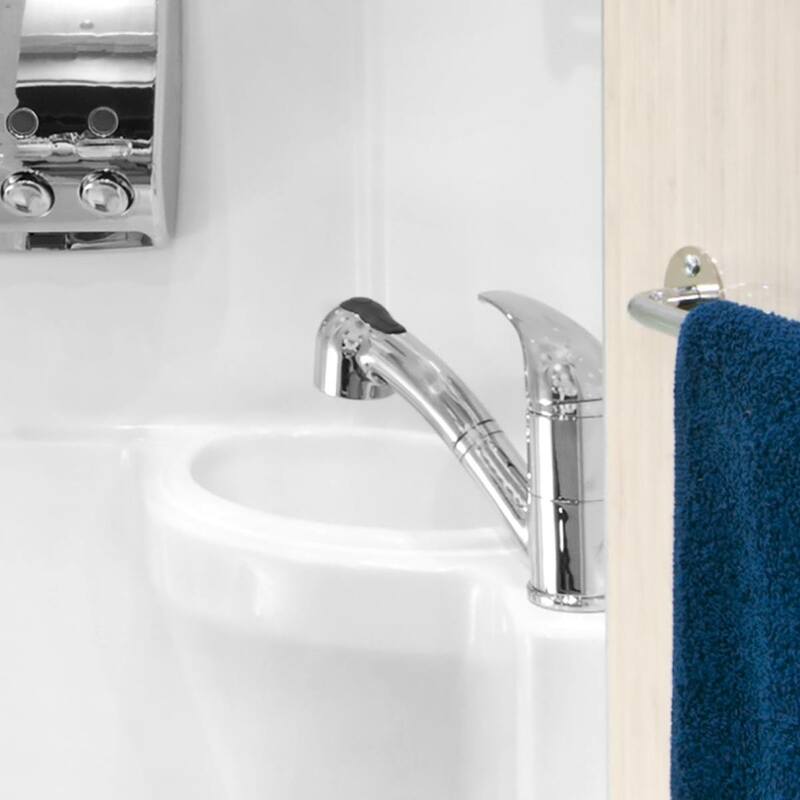 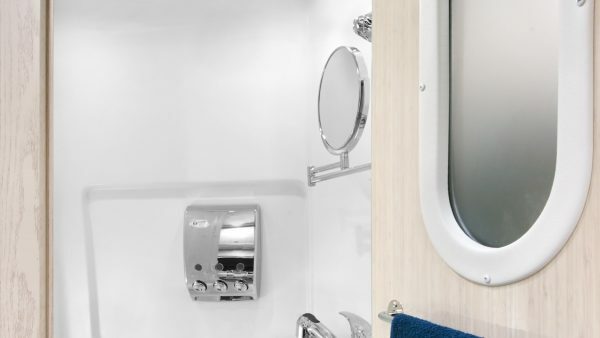 The European-style bathroom neatly houses a sink, shower, and toilet, plus a built-in shampoo, conditioner, and body wash station and a clothesline. 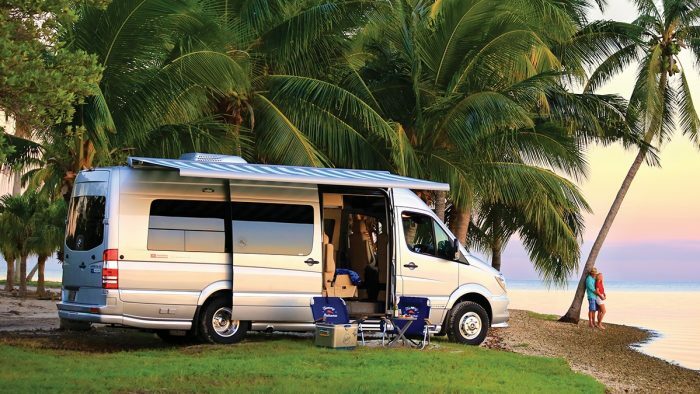 Every inch of the space is designed to get wet, and every function is smart and efficient. 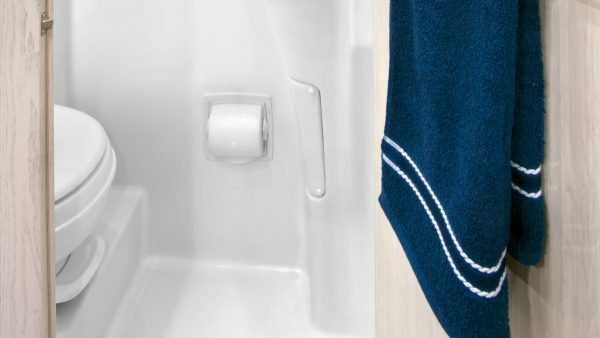 The showerhead doubles as the faucet, the mirror extends and swivels, and there’s a totally waterproof toilet paper cover. 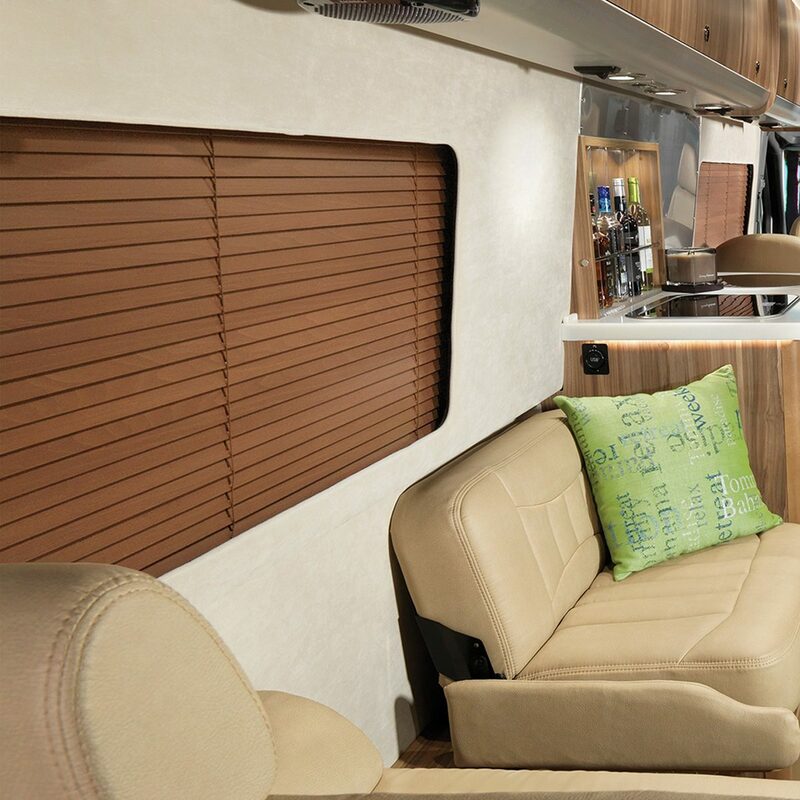 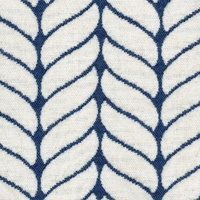 Special matte-finish wood, light and airy accent fabrics, and tropical bedding create an island vibe inside the coach, and the special awning brings the vibe outside. 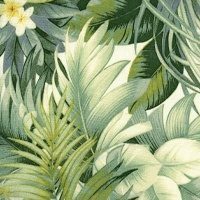 Tommy Bahama window graphics will turn heads while you drive down the road, and inside, a special tropical leaf wall graphic makes a bold statement. 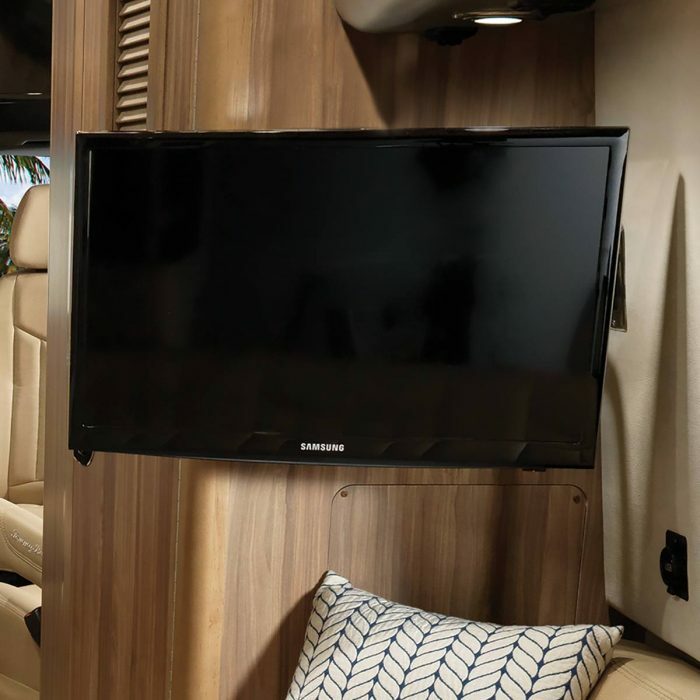 Unlike any of our other touring coaches, the Interstate Tommy Bahama is equipped with charming shutter blinds in a warm wood tone. 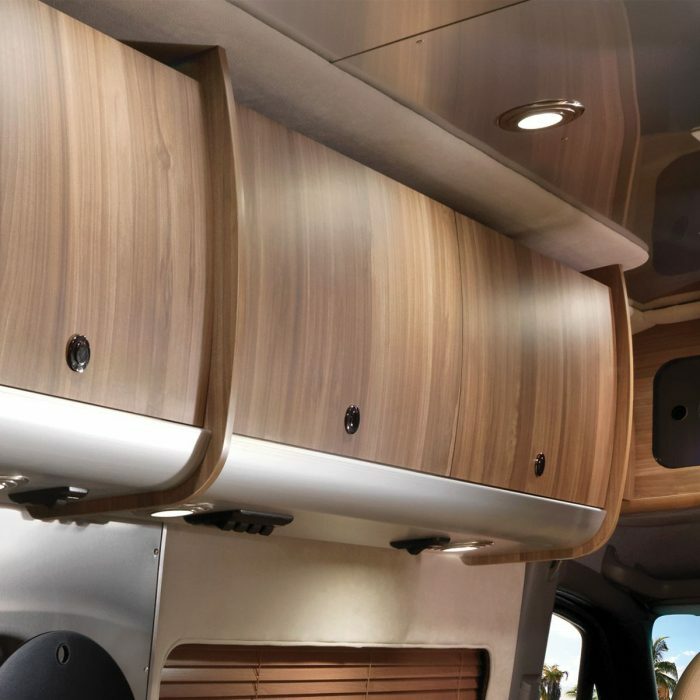 And they’re remote-controlled, so you can raise or lower them to add more or less light and privacy inside your RV. 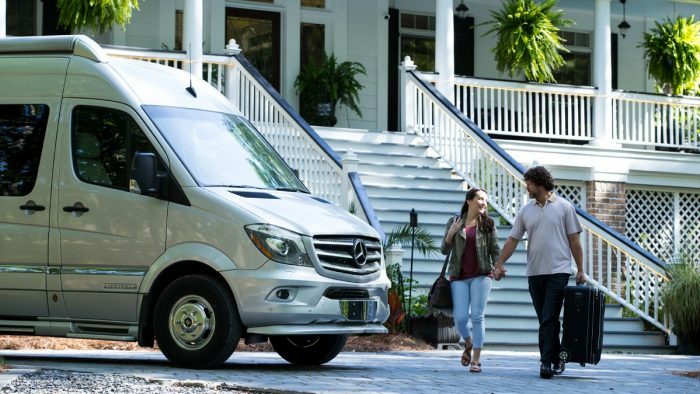 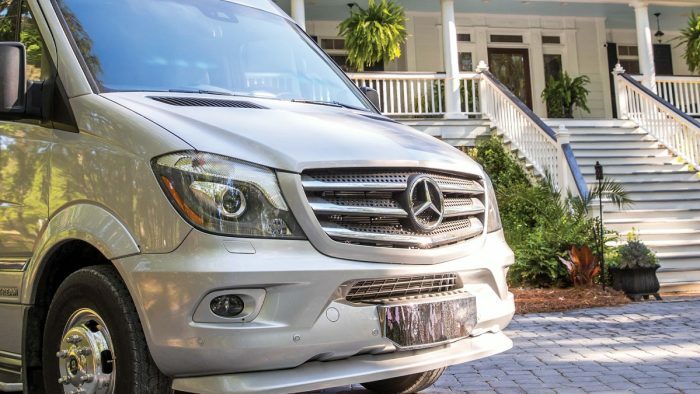 The powerful Mercedes-Benz 3.0L V6 turbo diesel engine makes the touring coach driving experience so enjoyable – with powerful getup balanced with impressive fuel economy. 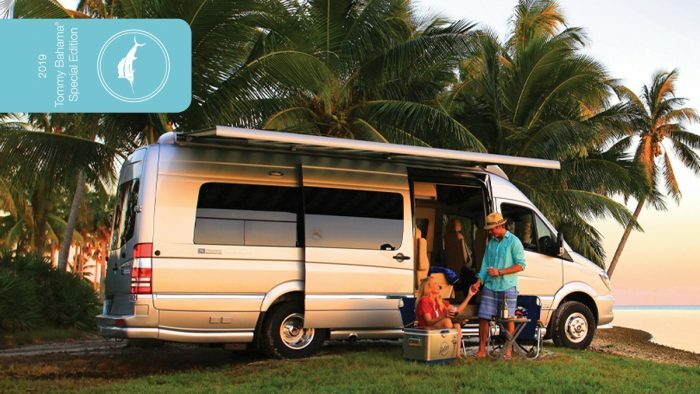 And standard-setting Mercedes-Benz safety features are everywhere you look in the Interstate Tommy Bahama, including lane keeping assist, collision prevention assist, rear- and side-view cameras, the most airbags available from Mercedes-Benz, and a FUSION® Infotainment System with Garmin navigation and lane guidance. 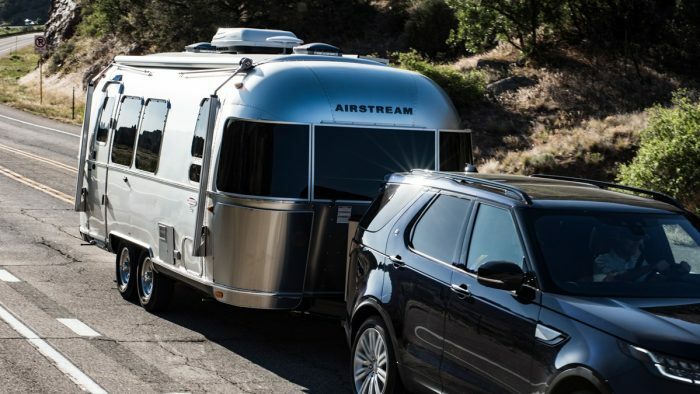 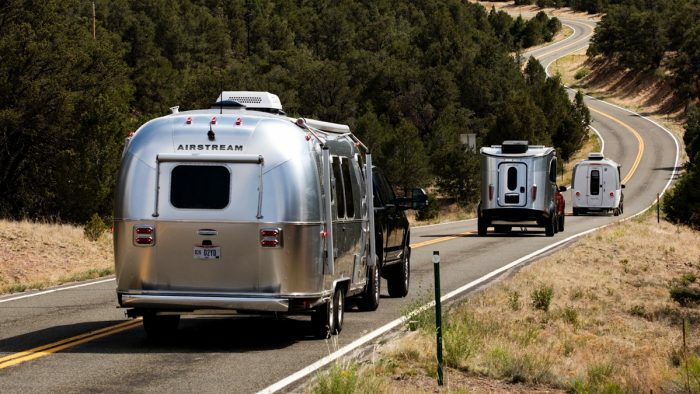 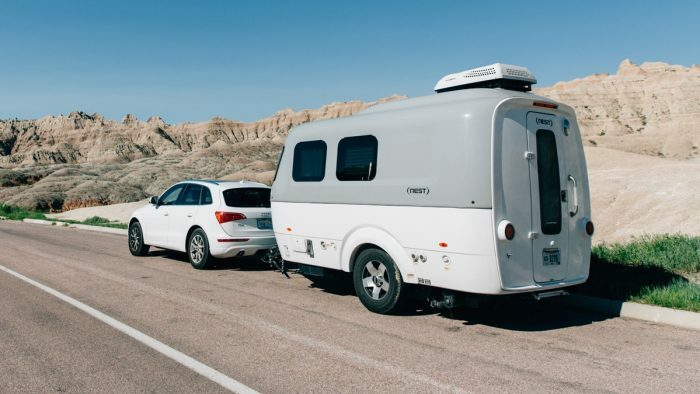 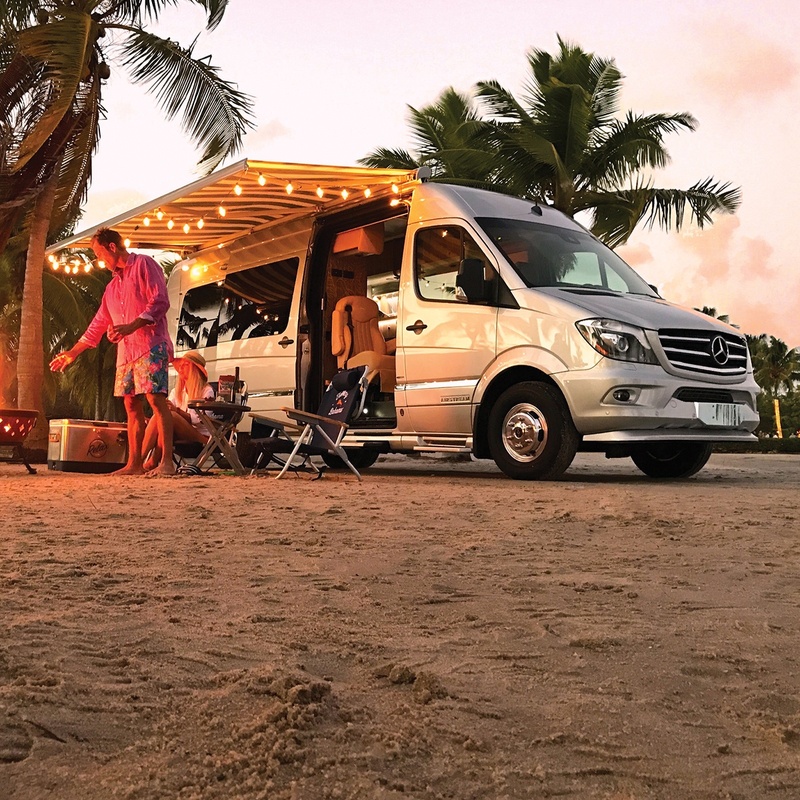 The rear of the Tommy Bahama is equipped with our exclusive optional Air Ride Suspension which adjusts itself to bumps in the road, changes in elevation, and changes in wind resistance, so you can enjoy a smooth ride, mile after mile. 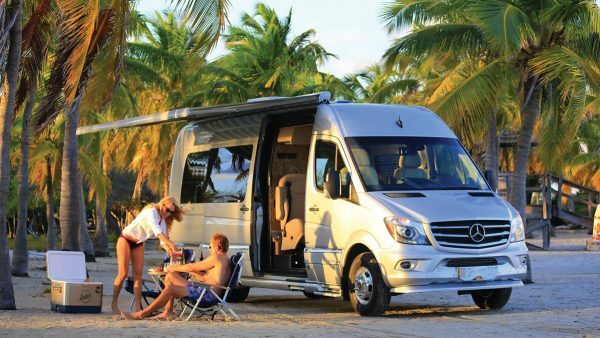 An optional on-demand four-wheel drive system from Mercedes-Benz gives you added stability and control. When you press the button, Load-Adaptive Electronic Stability and Electronic Traction systems work together to ensure your Tommy Bahama Touring Coach is prepared for inclement road conditions. 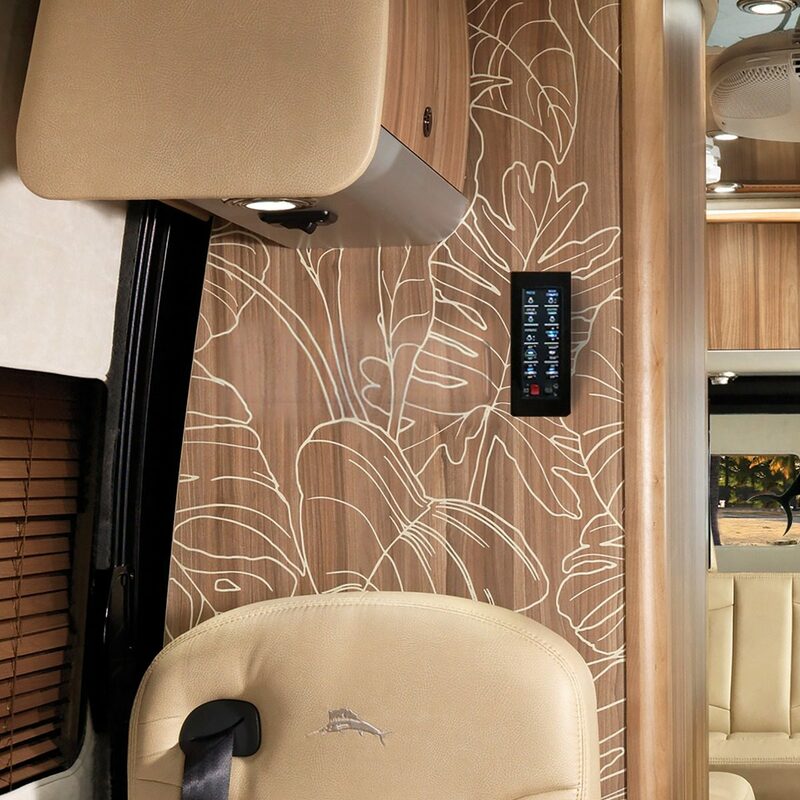 The cabinetry in the Interstate Tommy Bahama is unique among our touring coach family. 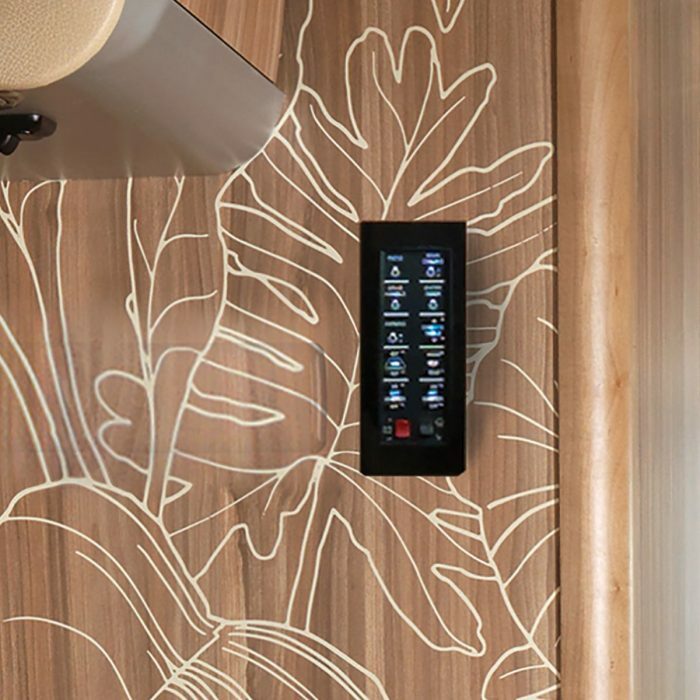 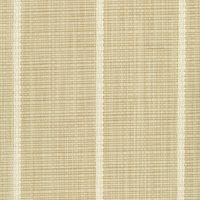 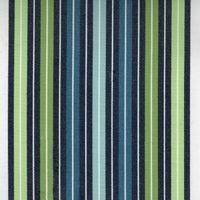 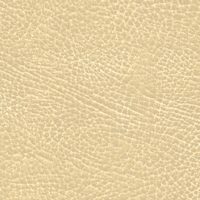 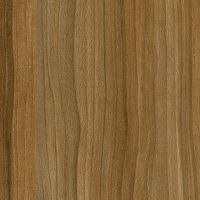 Its multi-toned matte finish adds a beach house feeling throughout the RV. 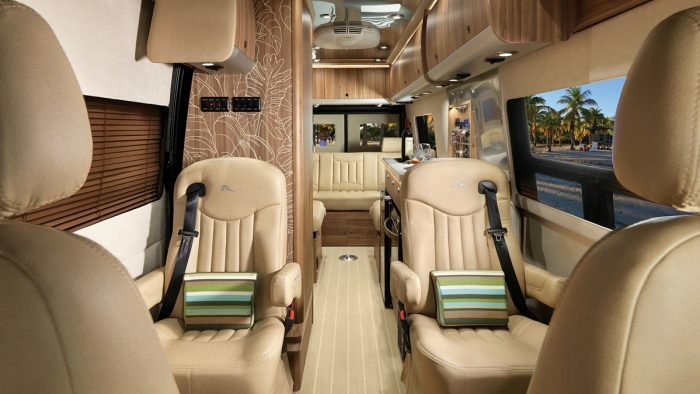 One TV lives at the front of the main cabin above the work station, and one lives at the rear in front of the sofa. Both are built on articulating arms so you can position them at the perfect angle. And an included BluRay™ player is ready for a movie night. 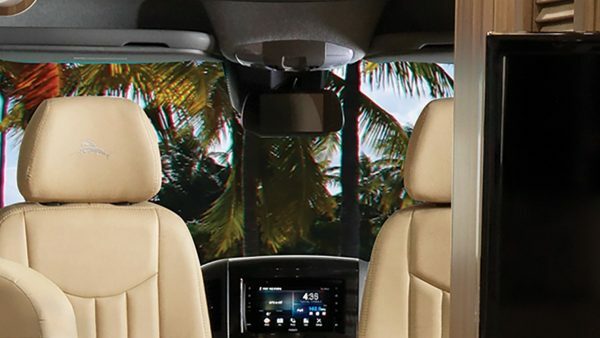 In the place of a rearview mirror, we’ve included a dedicated camera monitor for your rear and side cameras. 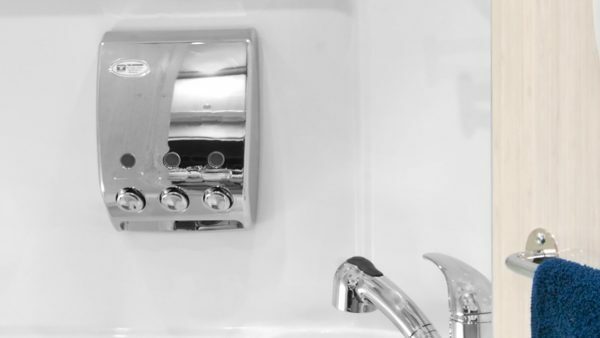 You get an accurate picture of your surroundings at all times.